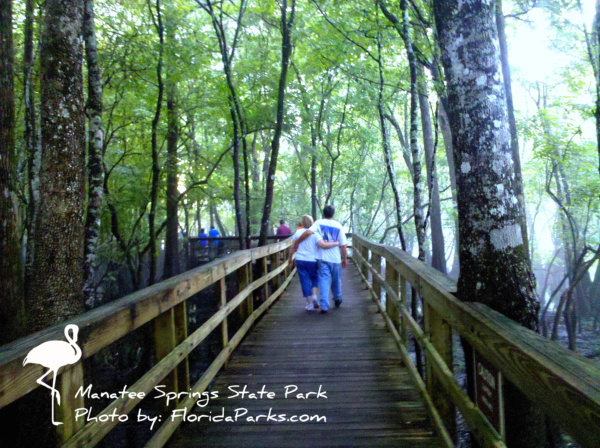 (Suwannee Basin GEOpark) 11650 N.W. 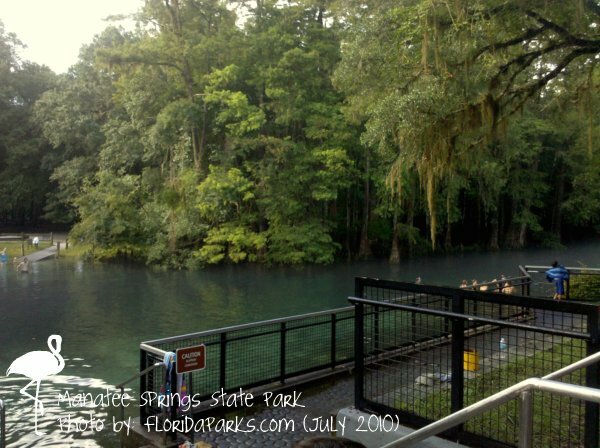 115th St.
Manatee Springs State Park is located at the end of S.R. 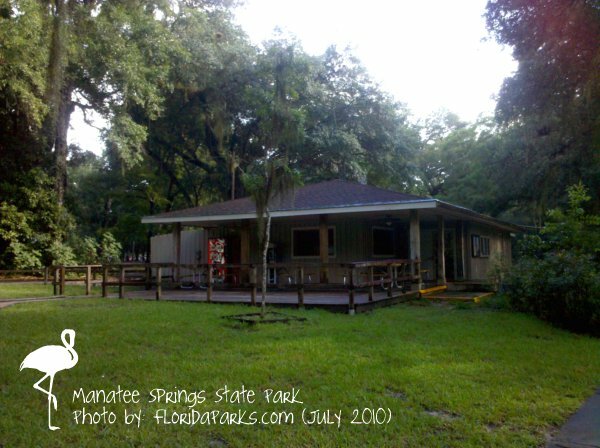 320, off U.S. 98, six miles west of Chiefland. Pets are allowed in certain areas of the park. They do have to be on a 6 foot handheld leash and well behaved at all times. They are not allowed in the swimming area or concessions area. Service animals are welcome in all areas of the park. 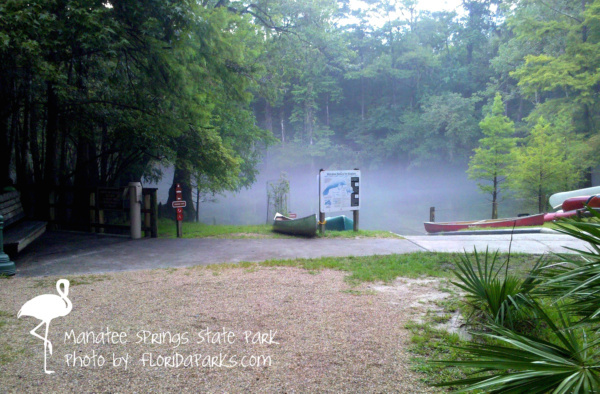 The park concession offers food, drinks, gifts, camper supplies and canoe rentals. 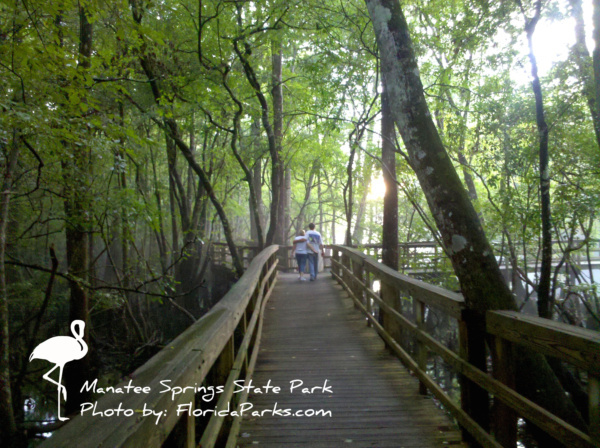 Manatee Springs State Park has a 92-site campground with electricity and water in each site. 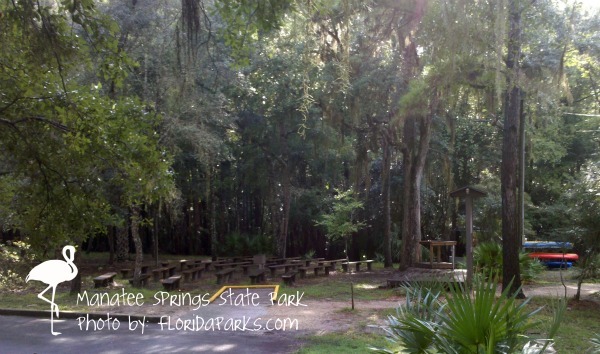 These sites are available for tent or RV use. There are comfort stations centrally located in each of the loops. Comfort stations provide hot showers, toilets and sink facilities. Sites 26-39 and site number 48 are for tent camping only. 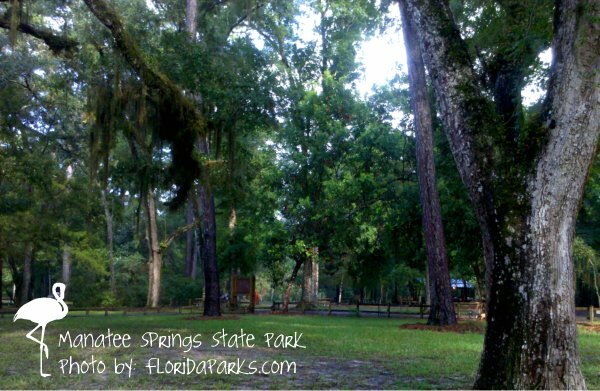 Located in the Magnolia 1 camping area, these sites allow park visitors to camp in a more rustic setting. Pets are allowed in all camping areas. 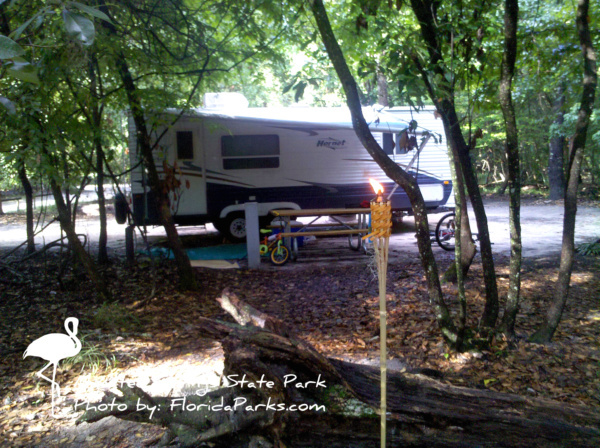 Reservations can be made up to 11 months in advance for camping. Scuba divers must present their certification upon registration. 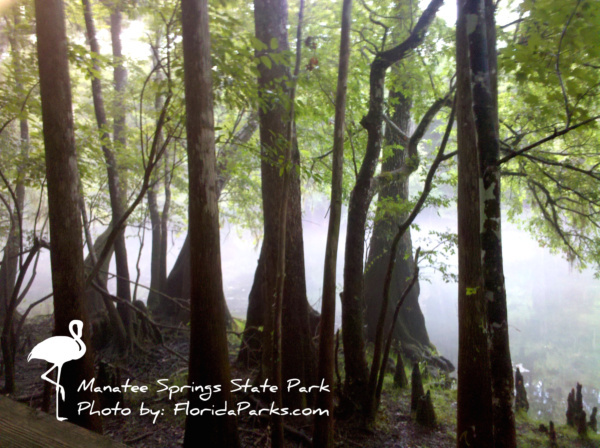 Open water, cavern and cave diving is available in Manatee Spring or Catfish Hotel Sink. Dive instructors are required to purchase a Commercial Dive Permit. Organized groups of six or more can camp in the Primitive Youth Camp Area. These facilities offer drinking water and an outdoor shower. These areas are reserved for non-profit, organized groups.